Description: This Luxury Kitchen Super Set is all that the children need to cook in their own Pretend Play Kitchen Set. It contains cookware set and other kitchen accessories, etc. This Play Set gets the kids to involve Themselves in playful activities that are highly beneficial to Theme and also Super Fun. It is the best Cooking Companion for all-day fun play. 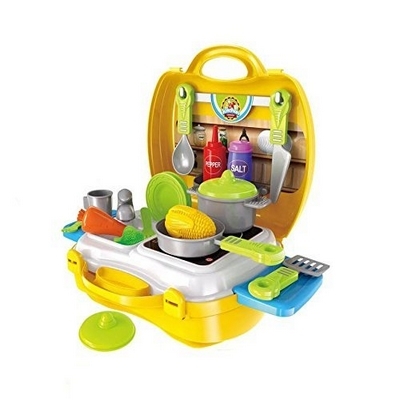 It provides imaginative role-play, and introduces the kids to daily household kitchen chores.